If the tour and soundtrack didn’t sate your Floor Kids thirst, fear not. The devs recently announced an update for the game which added several eagerly anticipated additions like practice mode and video capture. One thing’s for sure: the Floor Kids crew isn’t done keeping the funk alive. 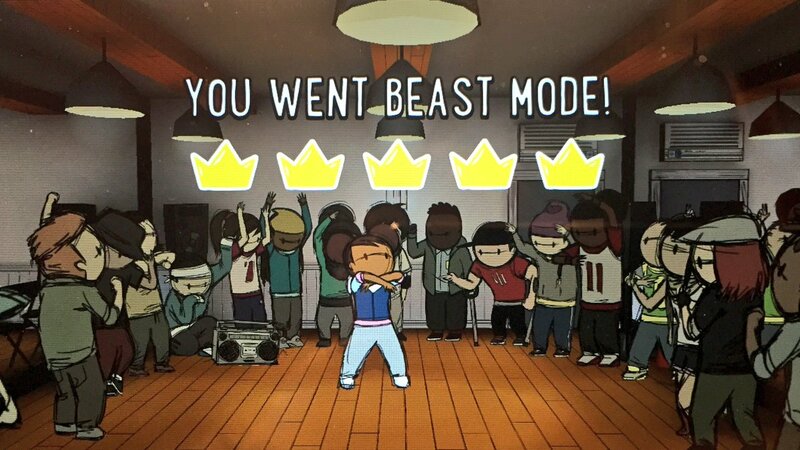 For a combo-based rhythm game like Floor Kids, practice absolutely makes perfect. Stages may make for excellent stomping grounds but a dedicated practice mode would allow for players to hone their skills to a razor’s edge. That’s where Infinity Mode comes in. As part of the most recent update to Hololabs-developed Floor Kids, Infinity Mode lets players break to their heart’s content to tracks of their choosing. The game structures itself around stylistic fluidity through a series of rhythmic button presses. Knowing how to break with ease isn’t necessary, but if you’re gunning for that high score it certainly helps. It’s one thing to input your combos, it’s quite another to string them together in the freshest way possible. Take to the practice room and get a feel for your freshest, funkiest combos. Here, the walls are bare and score is curiously absent. All that exists is the breaker and their moves. This patch also adds a small quality-of-life improvement by way of video capture. Floor Kids is a game all about the artistry of self-expression. Now, with the addition of video capture, players can easily show off their skills. If you’ve yet to play Floor Kids, the game is currently on sale on the Switch eShop for 33% off. If you’ve already picked up the game, but are struggling to nail down the combo system, the devs (@FloorKidsCrew) are happy to assist. Maybe you’ll even get Kid Koala himself to teach you a thing or two about strobes!